CHEQUE IT OUT! 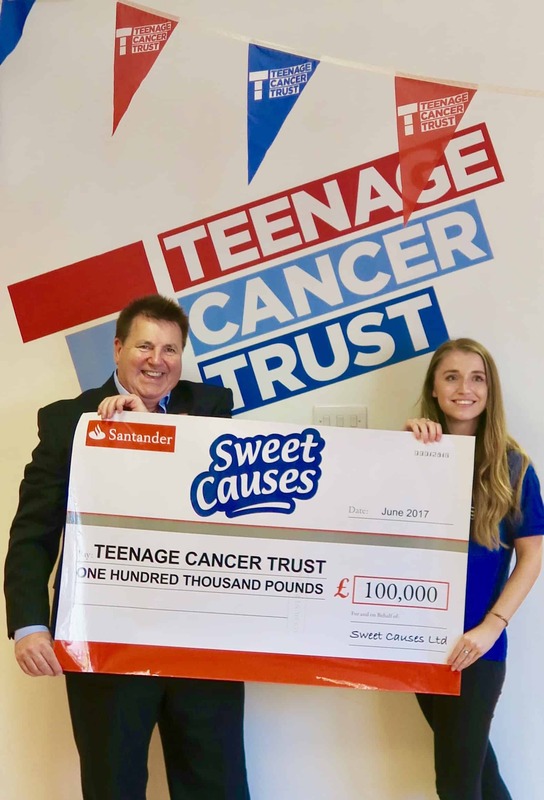 £100,000 MILESTONE – Charity Sweets by Sweet causes Ltd.
We were absolutely delighted to be invited by Teenage Cancer Trust to their head office this week to present a giant cheque for … wait for it… £100,000. 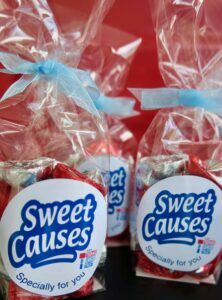 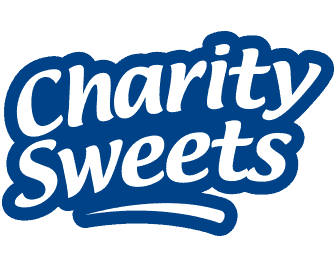 Our gratitude, as always, goes out to you our lovely customers who buy our sweets to help and support these young people, thank you so much. 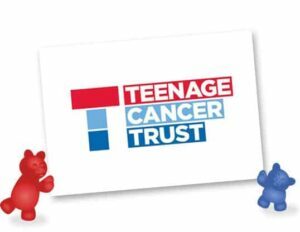 After the presentation we visited the Teenage Cancer Trust Hub located in the University College Hospital Macmillan Cancer Centre to see for ourselves the wonderful work these incredible people do and where the money goes to help this charity. Did you know 7 young people are diagnosed with cancer every day in the UK? 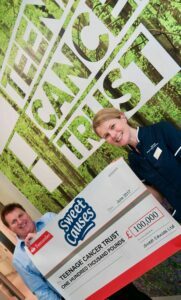 Can you ever imagine waking up one day to be told that your teenage daughter, son, grandchild or friend has cancer? You just don’t want to think about it ever happening, puts a lump to the throat and a heavy sigh to the heart. Well these brave youngsters have had that awful news given to them sometime in their lives and that’s why we and you have been striving to help and support these teenagers. We got to hear first-hand from all involved including the specialist nurses, youth support co-ordinators and some young people who have received this important care and support that has been desperately needed for patients, also a tour was given to one of the units by Ward Sister Julia Dahlstrom, as seen in the picture with Bob Strong, having a chance to see exactly what medical treatments that are presently available and what future plans are in place to keep improving treatments and how TCT are putting in place to try and reach more young people with cancer all across the UK. 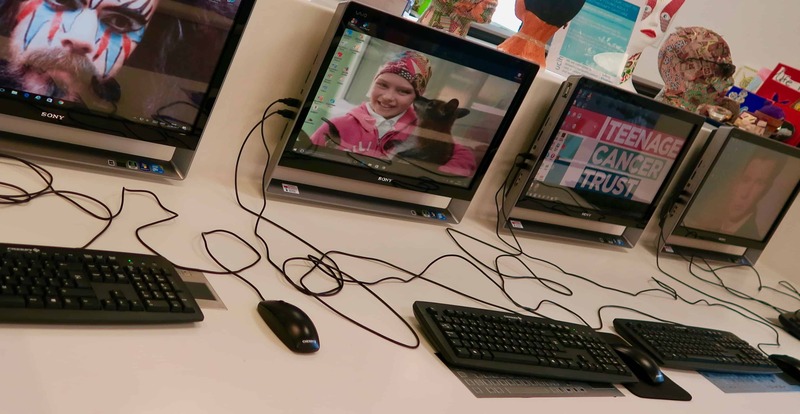 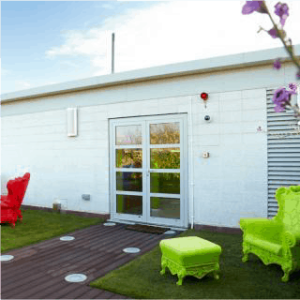 All bedrooms are equipped with soft furnishings, bespoke furniture, TV, DVD and gaming facilities, and there is dedicated Teenage Cancer Trust Wifi with laptops provided, they also have facilities on T13 which provides inpatient services for 20 – 25 year olds. They have enhanced the environment, refurbishing the bed areas and providing wall art. 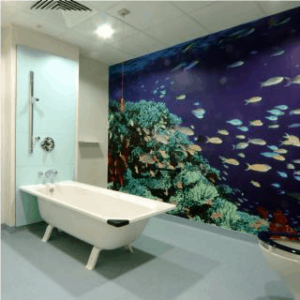 Their ambition is to help create a dedicated recreation room for the young adults being treated on the ward. The Teenage Cancer Trust HUB at the Macmillan Cancer Centre, University College Hospital London is an out-patient facility for 13-24 year olds with 8 treatment pods. 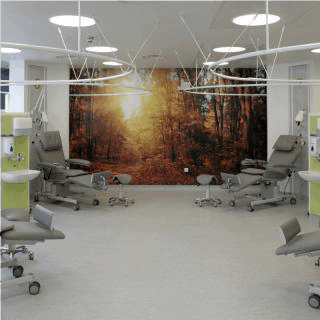 It also has a further 8 treatment chairs, and various treatment and consulting rooms and a spacious social area. 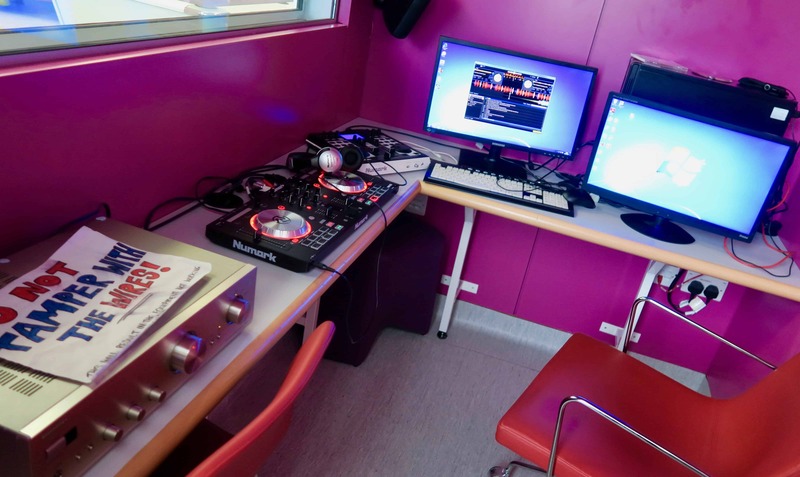 This includes a gym, DJ booth, computer gaming space, education zone, a family area and cafe. 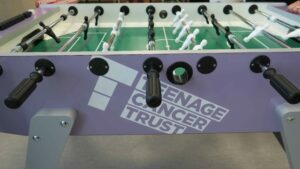 The T12 Teenage Cancer Trust Unit is for 13-19 year olds and has 18 in-patient beds. 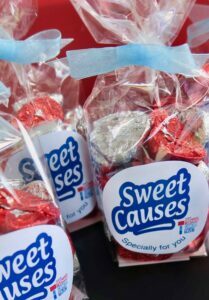 We provided a few special sweet treats to some of the people who work tirelessly behind the scenes on the unit at the University College London Hospital as a special thank you.